Open an Account get $200 for Free, Deposit $200 get $200 Free Bonus. Open an account now and enjoy the bonus. Come join us, We will show you when and how to buy or sell forex. If you Deposit $100 you can get $80 Bonus, and Deposit $200 you can get $200, and Deposit $500 you can get $300 Bonus. 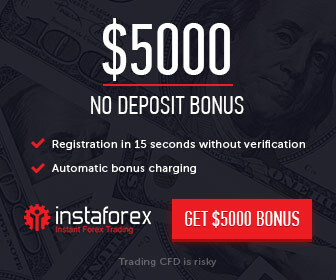 After you deposit funds, bonus will be credited to trading accounts. You can trade with the bonus once it is credited. Accumulation of trading lots: within 60 days after the bonus is credited to accounts (GMT+0). For example: You deposit funds to the account at 21:0:0, 18th, October, 2018(GMT+0), then trading lots would be accumulated from 21:0:0, 18th, October, 2018 to 20:59:59, 18th, December, 2018. After the valid trading time ends, you can withdraw the bonus after finishing enough lots. After the valid trading time ends, bonus is deducted from account balance if you have not finished enough lots. The customer shall ensure there is sufficient fund in the account if not receiving any bonus.